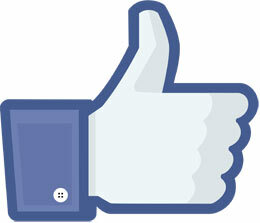 Where were you Friday morning around lunch time when Facebook had gone down for the count? There’s no way of telling exactly how large it was but Facebook experienced a global outage Friday morning between 11am and 12 noon eastern time. Millions flocked to Twitter mocking their own addiction to the world’s largest social network. But leave it to the great folks at Venture Beat who took the time to calculate just what such outages cost the social networking giant. As Venture Beat points out, sure Facebook has some other revenue generation out there but when their main site is unaccessible across all platforms the revenue faucet abruptly turns off. The math for the calculation was actually rather simple. Based on Facebook’s Q2 earnings report they generated $2,680,000,000 ($2.68 billion dollars) for the three month period. Dividing that number by 3 (the number of months) and then by 30 days, and then by 24 hours and then by 60 minutes, VentureBeat came up with the figure $20,000 per minute. That may not be a lot of change to Mark Zuckerberg but to anyone else, it is. Not only that but VentureBeat was nice enough to research what Facebook pays their engineers which is an average of $173,000 per year. So in just 10 minutes that would be the cost of one Facebook engineer.